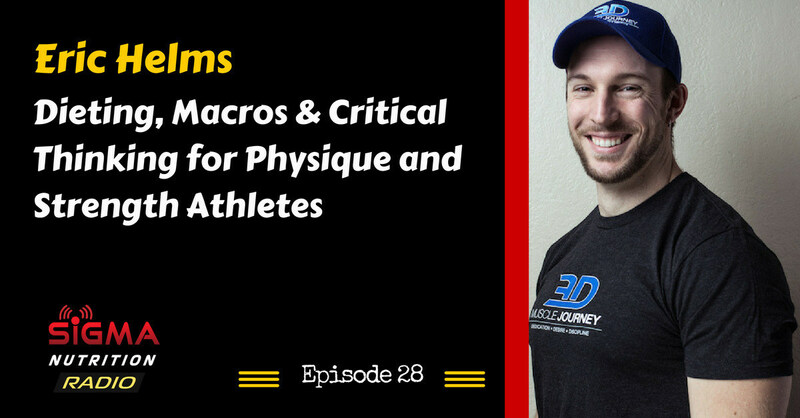 Episode 28: Eric Helms is on the show to talk about nutrition considerations for physique athletes, body builders and strength athletes. Eric is competitive bodybuilder and powerlifter, currently doing doctoral research for a strength & conditioning based PhD. Eric’s a coach for raw powerlifters, natural bodybuilders, and serious weight lifters of all walks of life with Team 3D Muscle Journey. A competitive bodybuilder and powerlifter with a couple of masters degrees as well as currently doing doctoral resesearch for a strength & conditioning based PhD. Eric’s a coach for raw powerlifters, natural bodybuilders, and serious weight lifters of all walks of life. Eric has a comprehensive array of certifications in the fields of personal training, performance enhancement, sports nutrition and strength and conditioning. 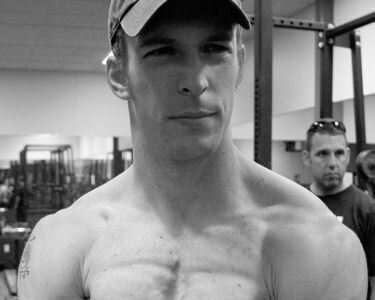 He has a Bachelor’s in Sports Management: Fitness and Wellness, and a Master’s in Exercise Science & Health Promotion: Performance Enhancement & Injury Prevention from the California University of Pennsylvania. He also has a Master’s of Philosophy from AUT in Auckland, New Zealand with a thesis titled “Exploring protein and macronutrient intakes in lean bodybuilders during caloric restriction.” He has published numerous peer reviewed journal articles and commercial fitness magazine articles in the fitness, nutrition, strength and bodybuilding fields. He’s continuing his studies as a PhD student in Strength & Conditioning researching auto-regulation in resistance training at AUT. As a part of the 3DMuscleJourney coaching staff he acts as a coach for raw powerlifters, natural bodybuilders, and serious weight lifters of all walks of life. Eric’s journey, struggles, challenges and inspiration to achieve what he has. The fundamentals of nutrition that should apply to all serious trainees. Setting macros for body composition manipulation.